Planned Parenthood’s decision to endorse Hillary Clinton over Bernie Sanders has created quite the stir. Despite some backlash from supporters, Planned Parenthood maintains that “Clinton pushes harder” for abortion, and that nominating Sanders would be passing up on a “first time in history” opportunity to “elect someone who’s been fighting to expand reproductive health and rights for decades to the White House, just when we need that kind of champion the most.” Feminist luminaries Madeline Albright and Gloria Steinem even suggest “there’s a special place in hell” for women who don’t pick Hillary and that young women go to Sanders just to meet boys, respectively. But don’t let the clear preference of abortionism’s leaders trick you into thinking Sanders is some moderate. The truth is, the socialist from Vermont is at least as forceful a defender of killing preborn babies as the former First Lady. Beyond that, it’s full speed ahead for abortion-on-demand at any stage, for any reason, at your expense. His record as a congressman and then a senator back those pledges up. From 1993 all the way to 2014, Sanders’s positions and congressional voting records have always gotten 100% scores from both Planned Parenthood and NARAL. So for the better part of two decades, Sanders has voted for every expansion and protection of abortion to come his way, and opposed every attempt to restrict it, no matter how modest or commonsense. OnTheIssues and the pro-Sanders website Feel the Bern helpfully rundown the highlights of his voting record, which includes his votes for partial-birth abortion, late-term abortion, taxpayer funding of abortion both here and internationally, taxpayer funding for Planned Parenthood and other abortion providers, taking minors across state lines to get abortions without their parents’ knowledge or consent, allowing and expanding the destruction of human embryos in stem-cell research, abortifacient emergency contraception on military bases, and federal funding for the United Nation Population Fund’s pro-abortion agenda. 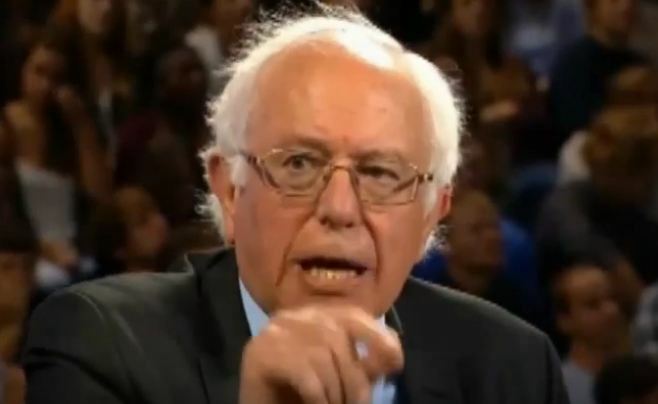 And his anti-right-to-life ideology dictates his position on more than just abortion laws—Sanders has also voted against the Unborn Victims of Violence Act, which recognizes wanted children as second victims of violence against their pregnant mothers; against recognizing preborn babies as eligible for low-income health assistance under the State Children’s Health Insurance Program (SCHIP); and against legislation protecting health providers from being denied tax dollars on the basis of their refusal to partake in abortion. Apparently in Bernie’s world, when women get healthcare from someone who doesn’t also kill kids on the side, it’s not a critical need anymore. Sanders was also a cosponsor of the 1993 Freedom of Choice Act and the 2013 Women’s Health Protection Act. The former would legislatively codify Roe into federal law by forbidding any state from restricting abortion pre-viability (and effectively post-viability via the infamous “health” exception); the latter would also do that, as well as federally eliminate and forbid virtually every state and local pro-life law in the country, including ultrasounds, waiting periods, admitting privileges, ambulatory transfer agreements, and webcam abortion bans. Planned Parenthood likely chose Hillary Clinton over Bernie Sanders not because she’s one iota more pro-abortion but because of her status as a political elite, their financial chumminess, and a calculation she’s more electable. President Bernie Sanders would be every bit as stubborn as our current president on continuing the slaughter of the preborn, forcing our complicity, and tying our hands from doing anything about it.